A beautiful song put together by the Bachurim of Shiur Gimmel Mesivta of Yeshivas Ohr Elchanan Chabad, LA, CA. The song was composed by Benny Begun, with lyrics by Ari Raskin and produced by Tzemi Yemini and Zalmy Dubinsky. 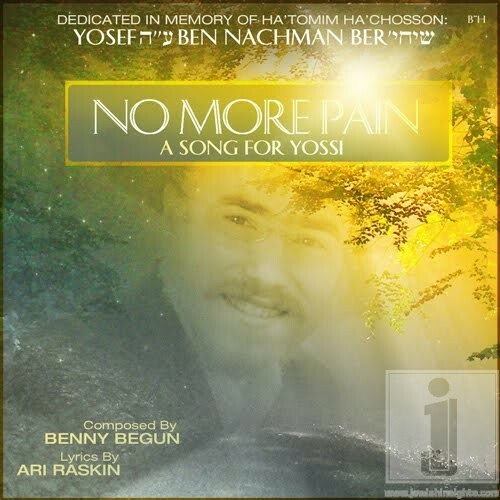 Vocals by Nisson Friedman (brother of Benny), recorded at Benshimon’s studios, and album artwork by Chaki Abhesera visionaryflock.com. Special thanks to Menachem Shemtov and Shaya Greene for all of their help. May the time come when at last we’ll dry our tears and be reunited with all Neshamos from on high, with the coming of Moshiach Bekarov Mammash. Click Here for a free download of the song. Yossi Kreiman of Los Angeles, CA, was a Chosson when he was taken back by his creator after a tragic water accident last November.